Time does fly fast, that's for sure! 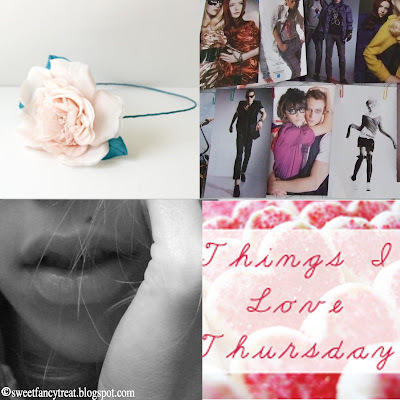 More reasons to smile and to take a few minutes and write down what are my favourite things this week. I've just finished eating a peach larger than my head and I'm ready to dish out a long, link-full list. Enjoy! Energy music. Try Crystal Castles. Their music lies somewhere in between electro, indie, punk, gameboy samples and distorted vocals. Drinking tea and reading books. Having a vanilla scented candle near my desk. It smells so great every time I walk past it! Early mornings. Smelling the fresh air when it's so quiet outside! Waiting for colder weather, wardrobe transition&layering, especially using summer garments. Inspiration corner: staring at this photoshoot featuring Linda Evangelista. By Steven Meisel. You know what? Maybe I should print it and attach it to the wall for once. Feeling urban! T-shirts rule. Here are some more fresh examples. What about you? What gets you in that blissful mood?